Microsoft will stop supporting the system in less than a year. Security support for Windows 7 is ending early next year, but Microsoft fears some people may not have gotten the memo. For that reason, the next major Windows update will come with a notification warning Windows 7 users to upgrade before it's too late. Microsoft will stop issuing security updates for Windows 7 as of January 14, 2020. After that, it will only issue patches to companies that are willing to pay the extra buck to have their systems handled. For the rest of us, it's probably time to move on. The notifications should start appearing on Windows 7 devices on April 18. 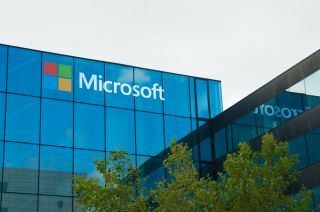 Microsoft hopes it will reach quite a large audience, given the fact that Windows 7 holds some 40 per cent of the entire Windows market share. How many will react on the notification, and how many will turn it off (yes, there will be a feature to turn it off) – we'll have to wait and see. Windows 7 is a 10-year-old operating system and, just as any other operating system, it's flawed and vulnerable to exploits. Some exploits, however, have been fixed in newer versions of Windows (8.1 or 10, for example), and some are probably yet to be discovered. Individuals and organisations that vote stay, and keep their Windows 7 OS, risk serious security issues down the line.